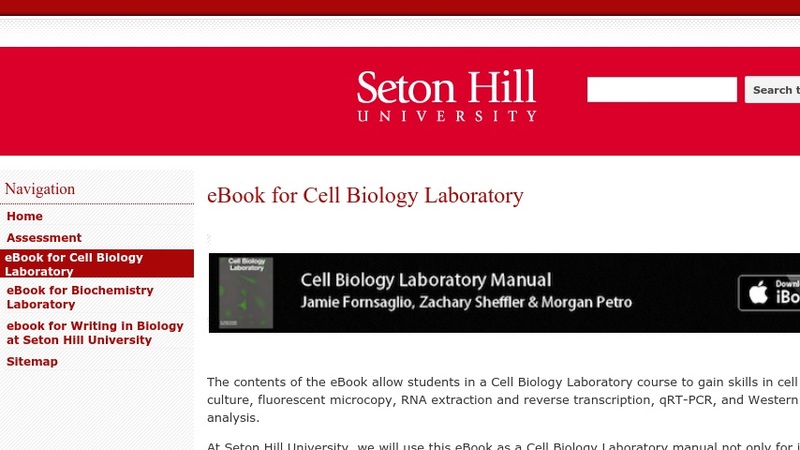 This eBook is a Cell Biology Laboratory Manual developed with an NSF grant. It is used at Seton Hill University not only for its content, but also to facilitate a design-based inquiry approach to teaching a course that is interdisciplinary in nature, fosters student and instructor collaboration, and incorporates technology into the learning process. It is designed for the iPad.